Transfer between Auckland Airport and Auckland city proper aboard a SkyBus service! 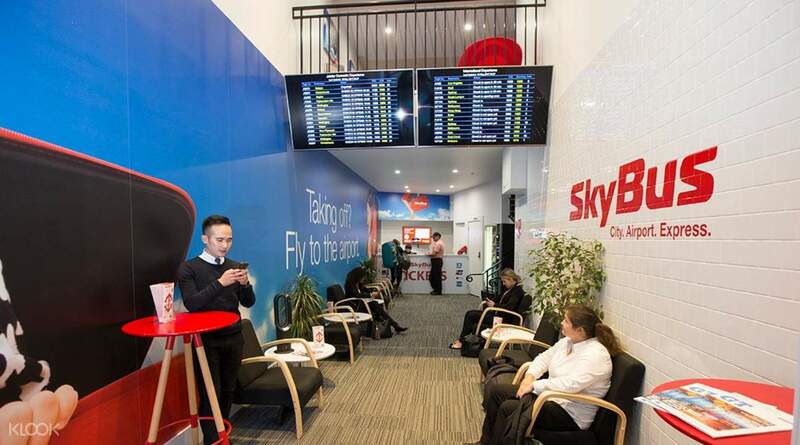 Klook exclusive: Enjoy discounted rates on SkyBus services when you book through the Klook website today! Enjoy a comfortable and efficient travel from your arrival at Auckland Airport to the thriving city in Auckland - for a great price! 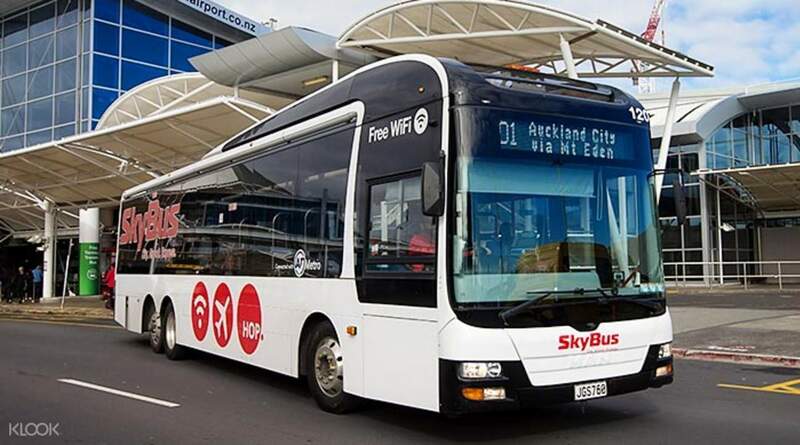 Ease into your New Zealand adventure as you get to Auckland stress-free aboard the Auckland Airport Express SkyBus service. Save some valuable time on route planning and avoid further complicated transfers of crowded local buses. 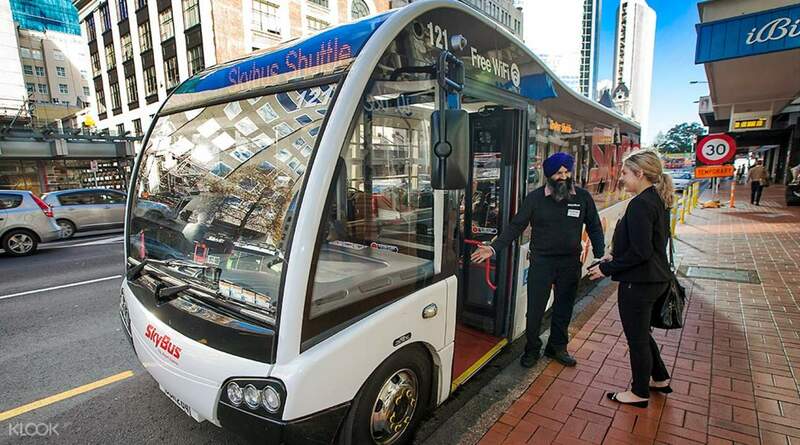 You don't have to break the bank to discover the best way to get to Auckland – SkyBus shuttles are equipped with free access to WiFi, cozy seats, and a fast service to get you to your NZ destination. Designed for your ease, you can benefit from a pick up from downtown or straight from the airport and immediately head over to your hotel in Auckland. Book now through Klook to exchange your printed voucher for a physical ticket right on the spot, simply hop in, and be whisked away to your dream destination in New Zealand! Enjoy the benefits of a convenient and comfortable journey aboard a high tech shuttle bus with Klook! Fast and smooth trip! courteous and helpful driver! Fast and smooth trip! courteous and helpful driver! Very comfortable ride to the city. Free wifi available. We're very fortunate to have a stop very close to our hotel in Queen Street. Highly recommended to book thru Klook for cheaper cost. Very comfortable ride to the city. Free wifi available. We're very fortunate to have a stop very close to our hotel in Queen Street. Highly recommended to book thru Klook for cheaper cost. Easy & convenient airport transfer. Can just show the bar code for access onto the bus, paperless! Press the bell to stop at the station You intended. There will be announcement for each stop. Easy & convenient airport transfer. Can just show the bar code for access onto the bus, paperless! Press the bell to stop at the station You intended. There will be announcement for each stop. Very convenient, no need to print the voucher out, just show them the QR code and everything is set. It took us only about 30mins to reach the city centre, quicker than expected! Very convenient, no need to print the voucher out, just show them the QR code and everything is set. It took us only about 30mins to reach the city centre, quicker than expected! Fit for purpose and very easy. Reached the stop and bus arrived on time. Boarded, scan QR code and reached the airport. Fit for purpose and very easy. Reached the stop and bus arrived on time. Boarded, scan QR code and reached the airport. This is convenient transport to use from airport to CBD. The transport fee is reasonable and will be repurchase it again. This is convenient transport to use from airport to CBD. The transport fee is reasonable and will be repurchase it again.